The one thing I've learned since watching my mom cook is that sometimes, shortcuts are necessary to cut cooking time. That's why whenever we have company over, we love serving snacks that don't require a lot of assembling or heating time. 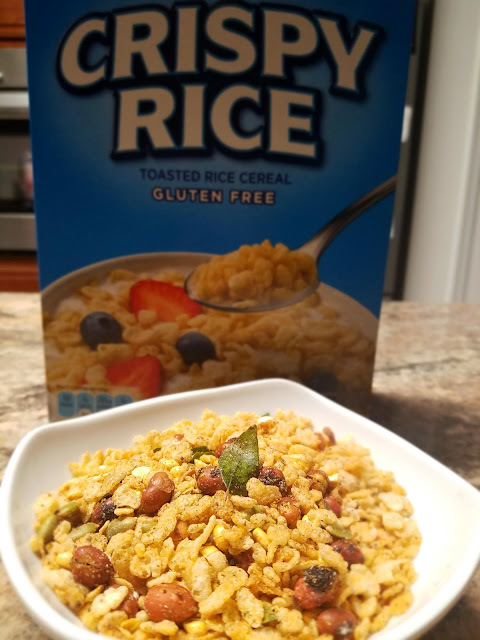 Recently Deep Foods, leading manufacturers of Indian food contacted us to review some of their products and we were happy to provide our feedback. So today we will be sharing our thoughts on snacks, specifically samosas made by Tandoor Chef, one of Deep Foods' brands. 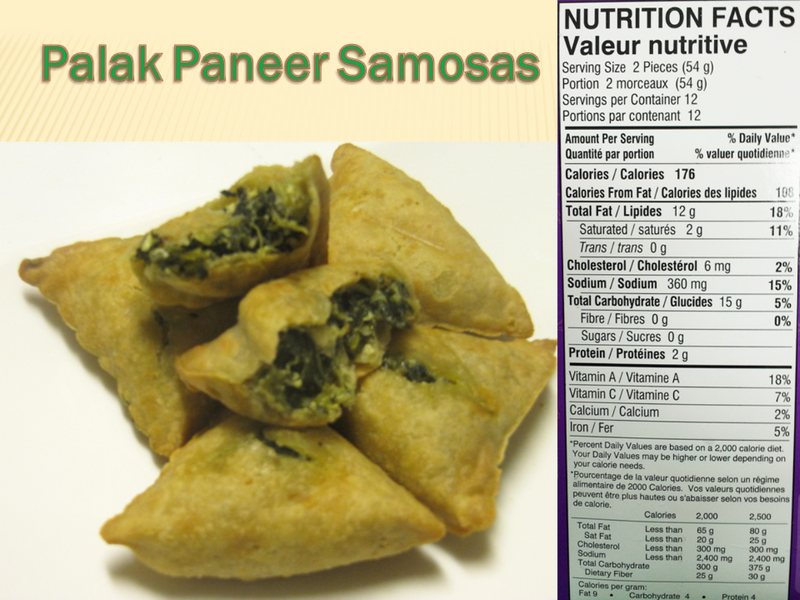 Three varieties of samosas are available: Palak paneer samosas, jumbo samosas with coriander chutney, and tandoori chicken samosas. 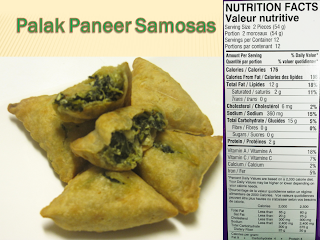 We tried the Palak paneer samosas and the jumbo samosas (pictured above). Samosas contain no artificial flavors and made with 100% natural ingredients. We liked the fact that chutney (dipping sauce) was included but the consistency was watery. We added some ketchup to make it more thicker and bring out the tangy flavor which fit well with the spicy filling. In terms of appetite pleasing, better to grab a samosa than a candy full. The flavor test: good taste, medium spicy, and well cooked filling. We liked the crunchy crust and crispy texture after baking them (as per the cooking instructions on the box). Another winning point is that they weren't too oily and are the perfect size for a snack. 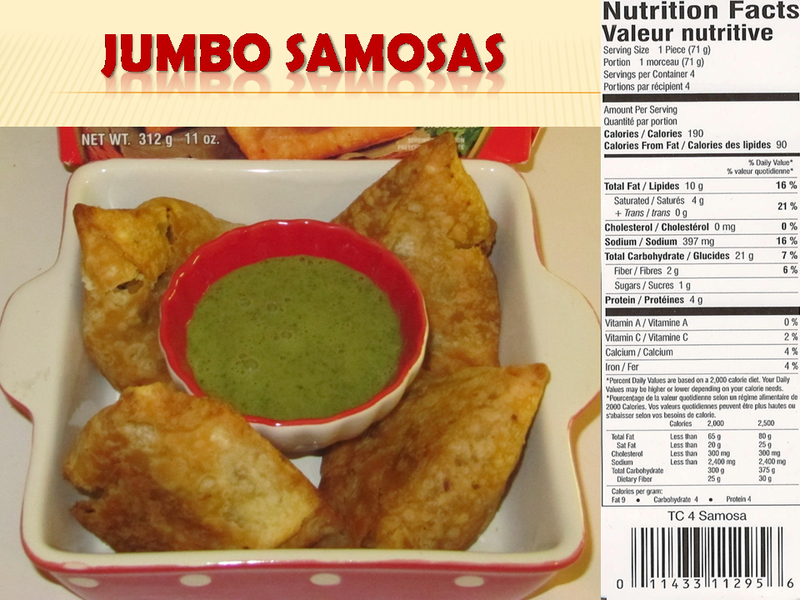 The spicy taste of these samosas go great with a "cold one" or hot beverages such as Chai or tea. The only con for this snack is that no sauce was included in the box. Now I will attempt to read your mind...wait for it...You're wondering where you can get some samosas. Currently, these snacks are available at your local Indian grocery store.